There was a time when people used to shy away from even uttering the word ‘periods', but Akshay Kumar starrer ‘PadMan' released earlier this year, made an effort to start a discussion around menstruation and menstrual health. From men, women, to youngsters, elderly people, from common man to ministers, people from different walks of life are getting involved to raise the level of menstrual hygiene in India. But some women in India have been running Pad banks for some time now. Here are a few that have been trying to make a difference in the lives of women who don't have access to sanitary pads. 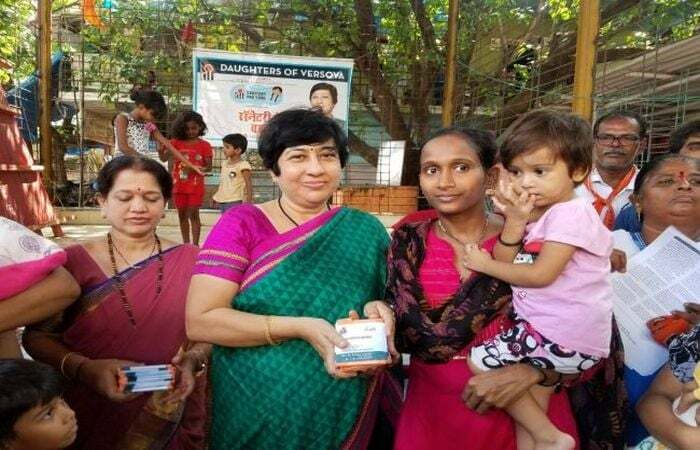 India's First Digital Sanitary PadBank, Courtesy MLA Bharti Lavekar: Dr Bharati Lavekar, BJP MLA from Versova constituency and the founder of TEE Foundation launched India's first digital sanitary PadBank on May 28, 2017. Through TEE Foundation, Ms Bharati provides sanitary napkins to poor women and girls. How does it work? The organisation accepts donation, both monetary funding and sanitary napkins from those who can afford it and distribute sanitary napkins among the women and girls in need. The initiative is changing lives of over one lakh women and girls every month. The TEE team conducts counselling sessions and has installed sanitary napkin vending and disposable machine in various schools and public toilets. ‘Sanitary napkins are a necessity and not a luxury', says Ms. Bharati. 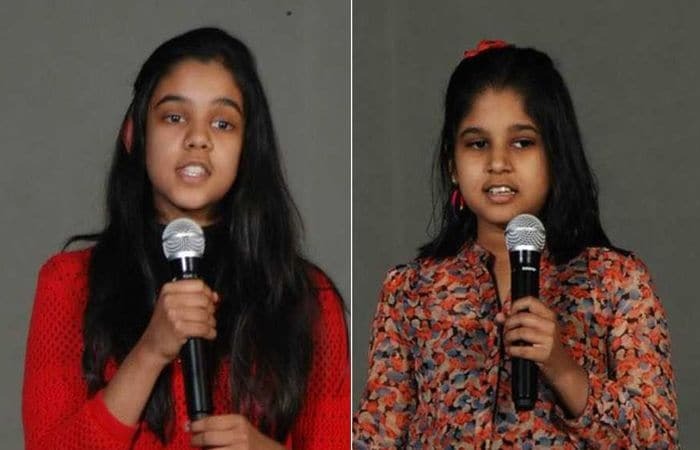 Pad Sisters From Jaipur Provide Pads For Free: Inspired by the Akshay Kumar starrer ‘PadMan', the Mittal sisters (16-year-old Poorvi and 14-year-old Suhani) opened a PadBank for those who can't afford to buy sanity napkins ever month. Through different collection centres, the team collects sanitary napkins and distributes it among underprivileged women for free. To raise awareness, the team also conducts menstrual hygiene awareness sessions. How do they do it? The elderly duo shells out money from their own pocket and accepts donations as well. Every month, the duo visits slums and municipal schools and distributes it among women and girls. Bihar Got Its First PadBank In 2014, Thanks To Nav Astitwa Foundation: In 2014, three friends, Amrita Singh, Pallavi Sinha and Dr Archana Kumari started, ‘Swachh Betiyan, Swachh Samaj'. Under the initiative, they launched the first PadBank in Bihar and issued a passbook to every woman which is valid for five years. By showing the passbook, women and girls can collect monthly stock of sanitary napkins at a cost of Rs. 20.The reason behind issuing a passbook is to regularise the usage of sanitary napkins. 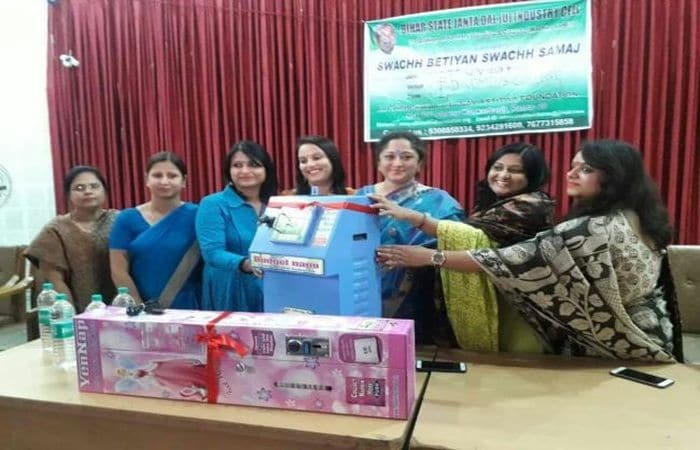 To ensure menstrual hygiene in schools and colleges, the Foundation has installed sanitary napkin vending machine with incinerators at various schools and colleges. Along with this, the trio also conducts regular awareness sessions. 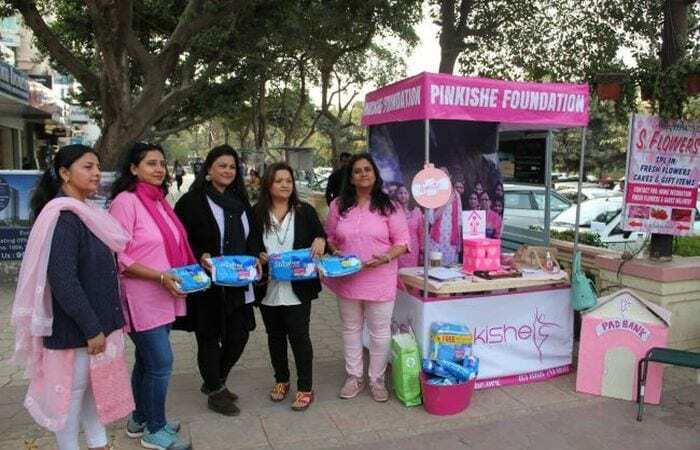 Pinkishe Foundation: Bridging The Gap Between Haves And Have Nots: Taking inspiration from blood bank, Khyati, then (2017) a class 11 student, told her father about her will to open a sanitary napkin padbank to provide sanitary napkins to less fortunate women and girls. Like this, in 2017, Pinkishe Foundation, based in Uttar Pradesh and spread across 50 cities in India was launched. The foundation procures sanitary napkins via donations and distributes among the one who cannot afford it. This way, the team has collected over 10,000 pads.